Social media advertising firm AppsSavvy announced on Tuesday that they have raised a new $7.1 million round of funding from AOL’s AOL Ventures group. News of the funding comes just one week after social ad network MediaBrix managed to secure $4 million in funding. With the social ad market still emerging as a player in its own right we’ll like see more venture capital pouring into ad networks that look to utilize the massive appeal of social media to attract new advertisers. The ad market currently allows company’s such as AppsSavvy to invest in digital advertising on websites, in social gaming environments and via mobile phones, all of which have helped fuel a new revenue base for social based company’s. AppsSavvy’s Series 1-A round included some help from True Ventures, New York Times Company and several individual investors including Scott Kurnit and Howard Lindzon. 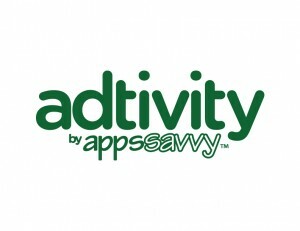 AppsSavvy has now raised a combined $10.2 million to date. According to the company they will use their new cash flow to expand business activities, specifically by improving their adtivity product which is used by more than 125 publishers and advertisers. Do you think the market for social ad company’s is a smart investment given the rise in popularity of sites that include Facebook, Twitter, LinkedIn and others?